A new pastor in town saw my portfolio and was impressed with all the major companies I had done work for. He then made a joke that I probably did the Alamo’s website. I kept a straight face and in a humble voice told him that I actually did design the Alamo website years ago. 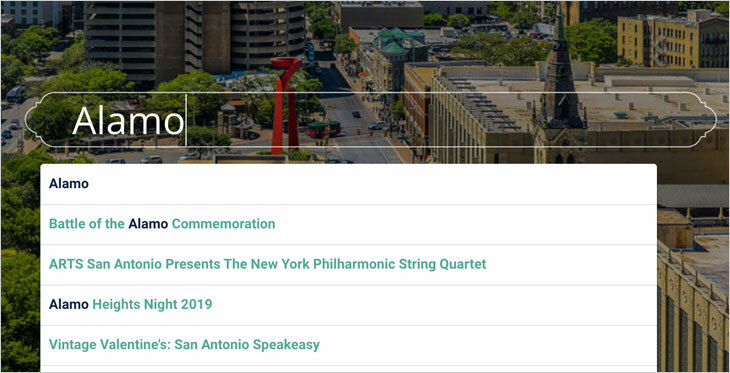 I have been blessed to work on some pretty major sites for the city of San Antonio, but they were nowhere near as complicated as the website my team just worked on for the Convention and Visitors Bureau. The Atkins Group is one of the top agencies in town and they are the agency of record for Visit San Antonio. 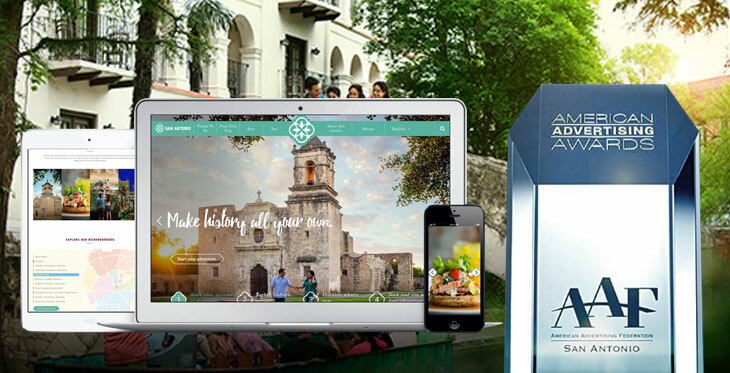 This is the site that all visitors go to when determining which activities and sites they want to go while in San Antonio. The Atkins Group reached out to J 12 Designs to help them deliver a powerful website that not only looks good, but converts potential visitors into locals. We are happy to say we delivered an awesome site and as an added bonuses, we helped the The Atkins Group win a gold award for best website and best overall interactive award at the American Advertising Federation-San Antonio. James Howe, VP Creative Director for The Atkins Group, started the design of the site. Our job was to take the initial layout and design/build out the other interior pages, mobile structure, implement a complicated search function and Trip Advisor rankings into the site. I called on David Bolton from I-3 Media to lead the important work on this exciting search integration. We used a platform called Swiftype — giving the site a Google-like feel as you start to type a word and suggested results come up based on what you are looking for. The search is smart enough to know that if you type in “Alamo”, you are looking for the actual Alamo and not Alamo Cafe (which is not a bad destination either). Another part of the site is the ranking of hotels and other locations that have Trip Advisor scores. 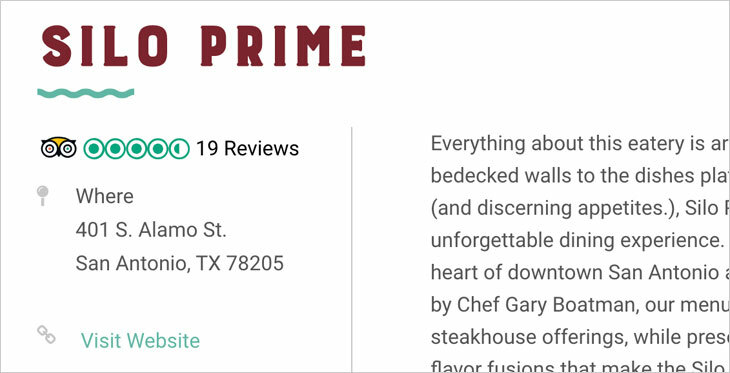 We programmed a listing system that would give you accurate results based on their rankings from Trip Advisor. This allows you to quickly find relevant content while you are searching for things to do and places to stay. Désirée Carrola directed this complicated integration. The rest of the site was a total team effort from The Atkins Group and J 12 Designs to transfer existing content as well as new images and descriptions for hundreds of locations. Deanna Dilworth and Jeannette Mendoza worked closely with the Atkins team, lead by Erik Arredondo, to make sure every location had the correct images and text making every individual page look great. The final piece to this puzzle was the decision to bring in the amazing search engine optimization and website marketing team called Left Brain + Right Brain. Jeremy Roberts leads this group that includes Yusuf Chowdhury and Ben Conner. They are responsible for making sure Visit San Antonio holds its position while going through this major transformation. Not only did they educate everyone on what was going to happen, they fixed major issues and brought a higher Google ranking to the site. This makes Visit San Antonio not only beautiful to look at, but a site that converts and hits its goals with strategic partners from all over. J 12 Designs is proud to have played a major role in this project and the awards are just confirmation of the trust that is given to us to provide the best product and service for our clients.